You must be a member of the Bilbao - San Sebastian Fun and Friends Group to attend this activity. Would you like to join this group? 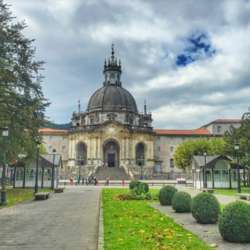 Join us for visiting the Basilica of Saint Ignatius of Loyola, the founder of Jesuits, Catholic organization, in Azpeitia. Meet expats and global minds, get to know other members, bring your friends and make new friends. Protected content . With Mugi card will cost 6€. Protected content me for parking information. Protected content cost: 2€ per person. 19:55 Bus toward San Sebastián. I'm looking forward to meeting you and to introducing you to other members!